Warm atmosphere for this cottage in a renovated farmhouse dating from 1838. Ideally located between lake and mountains a few kilometers from the small Venice of the Alps, the city of Annecy and the Aravis resorts. Many sports activities are possible and all year long. 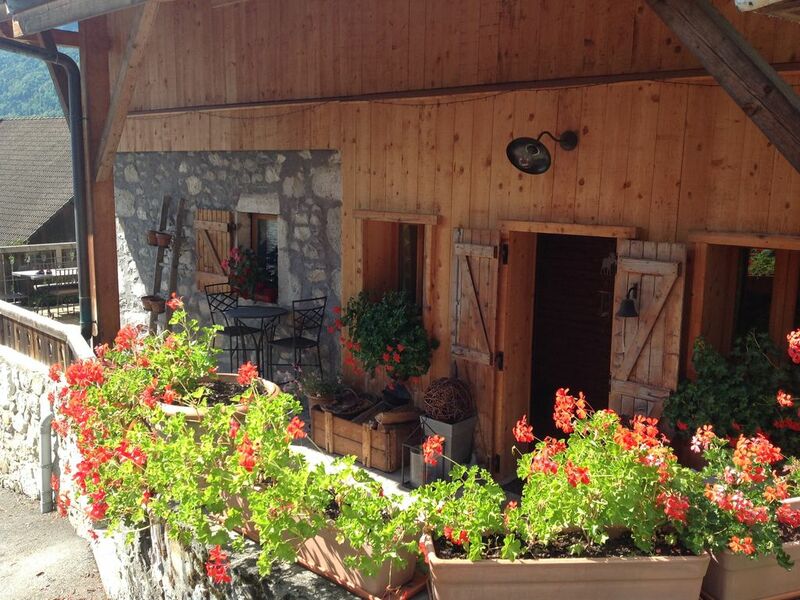 The location of this cottage has all the benefits of the countryside with nearby all the comforts of the cities. You will understand it is a charming cottage, friendly, warm family home atmosphere where the contemporary rubs family furniture tastefully.